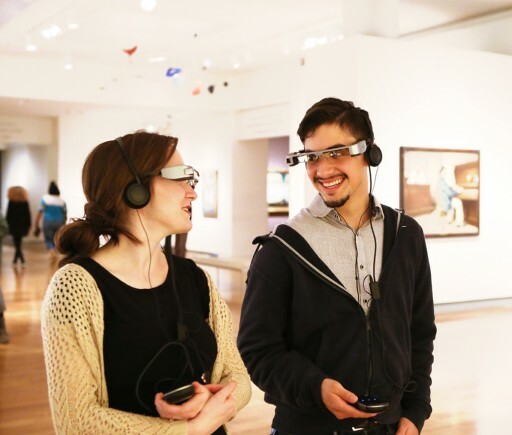 ARtGlass, which provides augmented reality experiences on smartglasses to cultural and historic sites, today closed a $1.3 million angel financing round. The Richmond, Virginia-headquartered global enterprise attracted five of the Commonwealth's largest angel and seed groups: Cavalier Angels (University of Virginia alumni), Central Virginia Angels, Charlottesville Angel Network, Trolley Venture Partners (Richmond area) and the Center for Innovative Technology (CIT) GAP Funds. Prominent business executives also invested as individuals. The funding will be used to bolster the company's proprietary software platform, enhance intellectual property and scale deployment to additional iconic historic and cultural sites in North America. "We are pleased to report that our angel round was oversubscribed and it is validating to see interest exceed our present needs," said ARtGlass CEO and co-founder Greg Werkheiser. "We're thrilled to have gained access to a proven and diverse group of investors with entrepreneurial experience across multiple industries." ARtGlass is the first company in the world bringing wearable AR to mainstream tourism in the $28 billion arts and culture sector. More than 750,000 visitors at iconic museums and archaeological sites in Europe have enjoyed ARtGlass tours. Earlier this year, the company announced its expansion to North America. Last week, ARtGlass reached another milestone: their public launch at George Washington's Mount Vernon, where tours are now available to the site's one million annual visitors. See: https://www.prnewswire.com/news-releases/mount-vernon-launches-groundbreaking-smartglasses-augmented-reality-tour-300753972.html. "Cavalier Angels looks for companies with the right leaders at the helm, unique and defensible technology, strong unit economics and a clear go-to-market strategy," said Rich Diemer, co-chair of the Cavalier Angels board. "The cultural sector is massive and ripe for innovation. This funding will accelerate ARtGlass' growth, enabling the company to bring its technology to the mainstream of cultural tourism." About ARtGlass - ARtGlass is the first company in the world bringing wearable AR to mainstream tourism at arts and cultural institutions. The company's early success is rooted in its team's combination of leading-edge technologists, substantive specialists in art, archeology, architecture and landscapes, and entrepreneurs experienced in public engagement at historical, museum and cultural sites. ARtGlass co-founders Greg and Marion Werkheiser are also founders of Cultural Heritage Partners, the leading law, policy and business strategy firm serving the cultural heritage sector globally. Founding CTO Luigi Percuoco previously led IT, marketing and business development projects for IBM, IGT, Fiat, SSB and Gtech. Visit http://artglassus.com/. About the Charlottesville Angel Network (CAN) - CAN is a growing group of nearly 70 accredited investors. Its investors - male and female executives, entrepreneurs, scientists and engineers - make their own independent investment decisions on a deal-by-deal basis. They are eager to apply their skills and put their connections and capital to work to help entrepreneurs succeed. Since formation in early 2015, CAN has invested more than $6.6 million in 35 startups, half of which are headquartered in Charlottesville, Virginia, a quarter in D.C. and other regions of Virginia, and the remainder throughout the U.S. and beyond. Visit: https://cvilleangelnetwork.net. About Cavalier Angels (CAV) - CAV Angels is a non-profit club housing the only angel group specifically catered towards University of Virginia alumni. CAV Angels' mission is twofold: first, to provide education on investment in private, early-stage companies to members of the UVA family; second, to facilitate investment by members of the club in early-stage growth companies founded, owned or managed by members of the UVA family. (ARtGlass CEO Greg Werkheiser is a graduate of the School of Law). Visit: https://www.cavangels.com/. About Central Virginia Angels (CVA) - CVA Angels is an early-stage angel investment group associated with Startup Virginia (SVA) and made up of over 280 accredited investors across central Virginia. Each month SVA invites two startups to pitch to the CVA Angels. Should any investors wish to move forward, SVA transitions from a liaison role to a supportive role, giving the startup direct contact with the investor. To date, CVA Angels has featured over 60 companies and raised collectively $3.5 million dollars. Visit: https://www.startupvirginia.org/programs/startup-events/. About the Center for Innovative Technology (CIT) GAP Funds - CIT GAP Funds is a family of seed- and early-stage investment funds placing near-equity and equity investments in Virginia-based technology, life science and cleantech companies. CIT GAP Funds invests in companies with a high potential for achieving rapid growth and generating significant economic return for entrepreneurs, co-investors and the Commonwealth of Virginia. Visit: https://www.cit.org/service-lines/cit-gap-funds/. About Trolley Ventures - Trolley Ventures is a venture capital fund focused on the Central Virginia Area. Founded in 2018 and among the first investors in ARtGlass, the fund looks for seed-stage investment opportunities in high-growth companies. Visit: https://trolleyventures.com/.